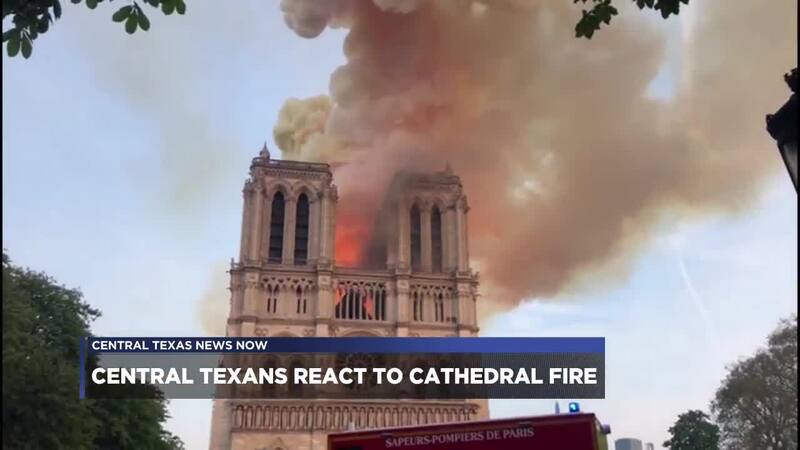 WACO, TX — About 30,000 people visit the Notre Dame Cathedral each day, some traveling all the way from Texas. Heidi Hornik is an art history professor at Baylor University. Her passion takes her around the world. "I started going to Paris Cathedral probably when I was maybe 18 years old," Hornik said. "Just for having a love of art history, a love of architecture and a curiosity about Paris." She's gone back more than a dozen times since with her husband and two sons. "I think the first time I brought my sons they were both in strollers," Hornik said. Those precious memories came rushing back on Monday. Hornik was teaching a class when one of her students told her the Notre Dame Cathedral was on fire. "That was 20 minutes after it began," Hornik said. "I just couldn't say anything. I just felt in the pit of my being that we were about to lose one of Western civilization's major contributions to humanity." While the massive church is still standing, the roof is destroyed. Nearly 13 million people visit the historic site each year. Those numbers could go down as repairs begin, but Hornik still plans to visit next summer. She said this event has become another important part of the landmark's history. "When it is rebuilt there will only be so many people who have seen it in this particular phase. So it has its own significance now," said Hornik. The French president wants to have the it rebuilt within five years. Help is already on the way to assist in rebuilding the famed cathedral. French billionaire Francois-Henri Pinault and his wife, actress Salma Hayek, are doing their part. On Tuesday, he announced his family will donate more than $100 million to repair the cathedral.